Showtime’s Twin Peaks has as already confirmed a vast majority of original series stars aboard for the 2017 revival, though it remained to be seen if creator David Lynch would step out from behind the camera. Now, a new teaser promises Gordon Cole’s return, as David Lynch enjoys one of Twin Peaks’ famous donuts. Ahead of the Shameless Season 7 finale, Showtime released a brand-new teaser for the as-yet-unscheduled 2017 revival, featuring series creator and director Lynch reviving his role as FBI Regional Bureau Chief (or perhaps former) Gordon Cole. At the very least, Cole still seems to have his famous hearing aid. 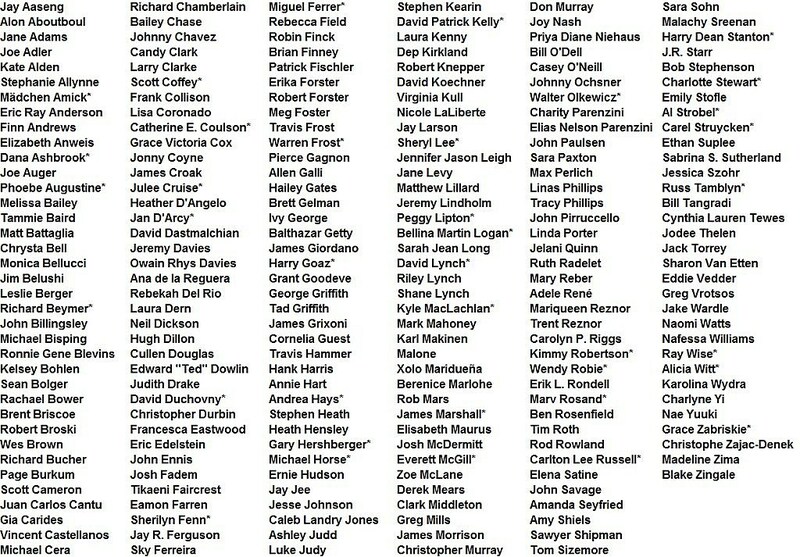 Twin Peaks star Madchen Amick’s return is also set, alongside Dana Ashbrook, Sheryl Lee, Michael Horse, Sherilyn Fenn, Miguel Ferrer, David Patrick Kelly, Richard Beymer and fellow new additions Ashley Judd, James Belushi, Naomi Watts, Tom Sizemore, Laura Dern, Jennifer Jason Leigh, Peter Sarsgaard, Robert Knepper, Amanda Seyfried and Balthazar Getty. Showtime may come forth with a real Twin Peaks trailer for 2017 soon, but check out the first teasers below, while we wait.